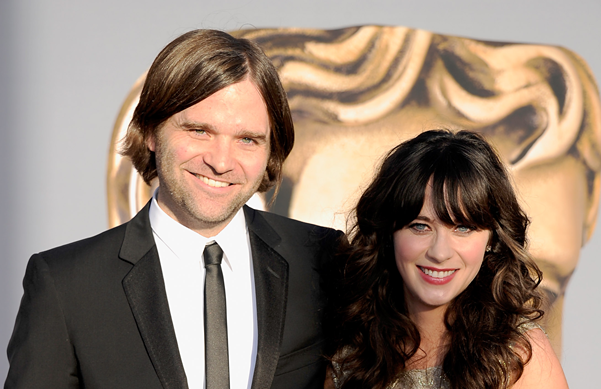 This isn’t a good time to be part of a famous indie-rock couple: Just weeks after Sonic Youth’s Kim Gordon and Thurston Moore announced they were separating, She & Him’s Zooey Deschanel and Death Cab for Cutie’s Ben Gibbard have split up, too. Us Weekly reports the dissolution of the rock’n’roll union was “mutual and amicable,” and a source told the magazine, “There was no third party involved.” The pair got engaged in December 2008 and married in September 2009 near Seattle. Just a year ago, the two enjoyed the baseball postseason together; last week Deschanel returned to the MLB to sing the National Anthem solo. This means SPIN must revise our gallery of 12 Indie Rock Couples Keeping the Dream Alive. Farewell, Zooey and Ben, and hello Bethany and Nathan!